Ever since I bought my new goalie skates, I've needed to sharpen them more frequently. You see, they have the Bauer Vertexx system where I can push off while in the butterfly position, hence the need for sharper skates (if you care to know...). So, while waiting for that to be done at the Hockey Shop, I figured it was a good time to get some eats (in particular, takeout). Hence, I made the short drive over to Sushi Plus out on University Drive. 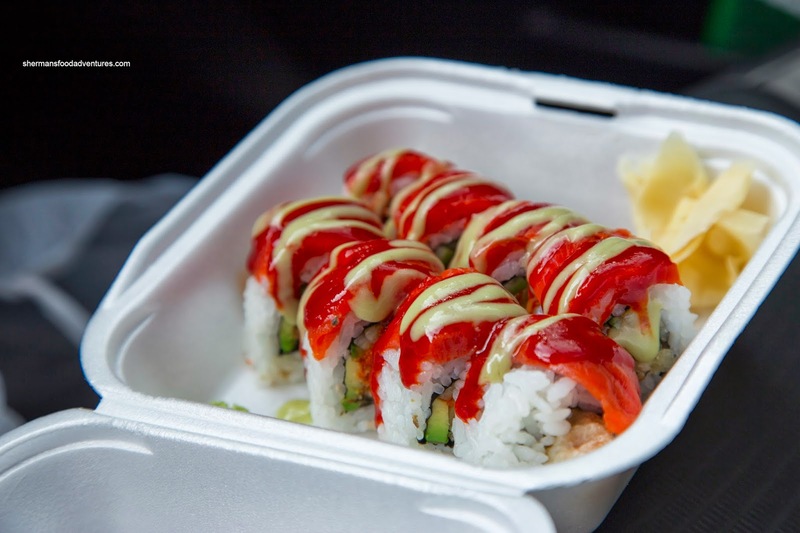 With only one table, Sushi Plus is purely takeout. I decided to try the Red Dragon Roll and for a specialty roll, it was not exactly that impressive to look at. I guess the portion size fit the price. It was essentially a dynamite roll with salmon and spicy sauce on top. I found the rice to be rather dry and tasteless, but the roll as a whole was okay. The ample amount of sauce ensured that there was no absence of spice and moisture. 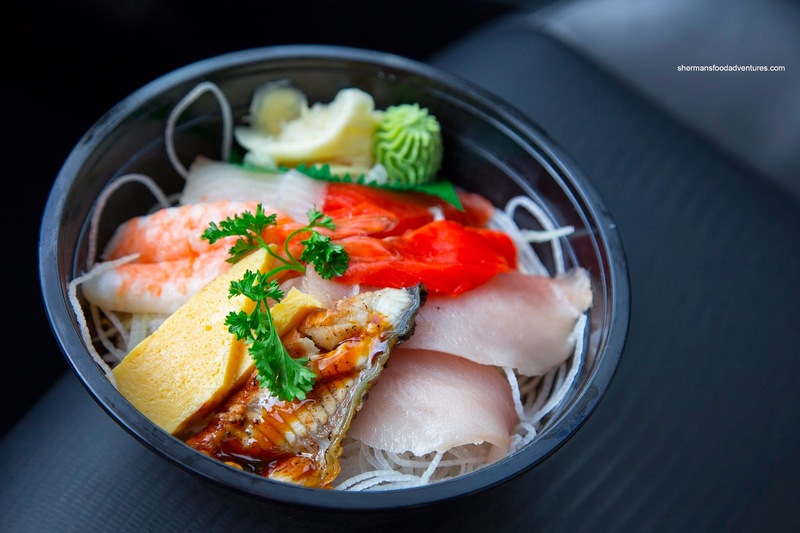 Being inexpensive as well, the Chirashi Don featured strangely sliced pieces of fish. Despite this, textures were okay and nothing tasted amiss. However, the rice was terrible. It was dry and mealy while being almost devoid of any vinegar. 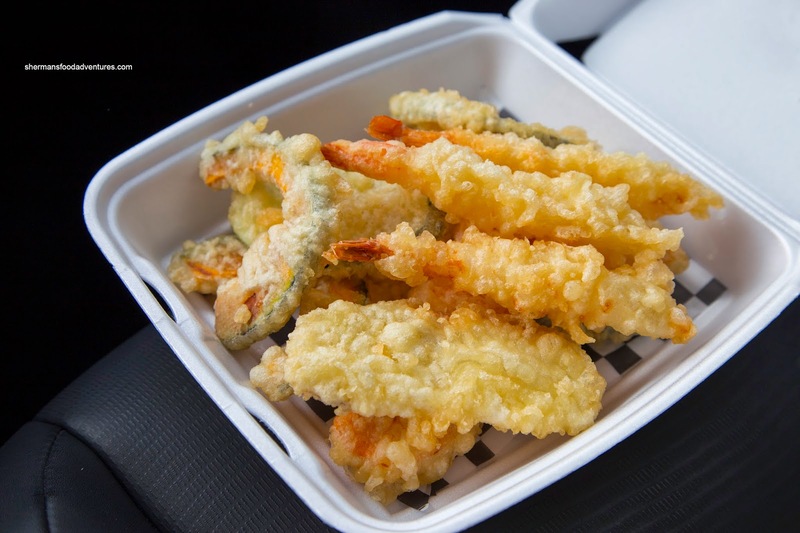 Lastly, for $6.95, I wasn't expecting much from the Assorted Tempura. As it turned out, the portion size was plain massive. The batter was a touch thick, but still crispy while a touch doughy inside. This was a meal in itself as there were many pieces of squash and yam. 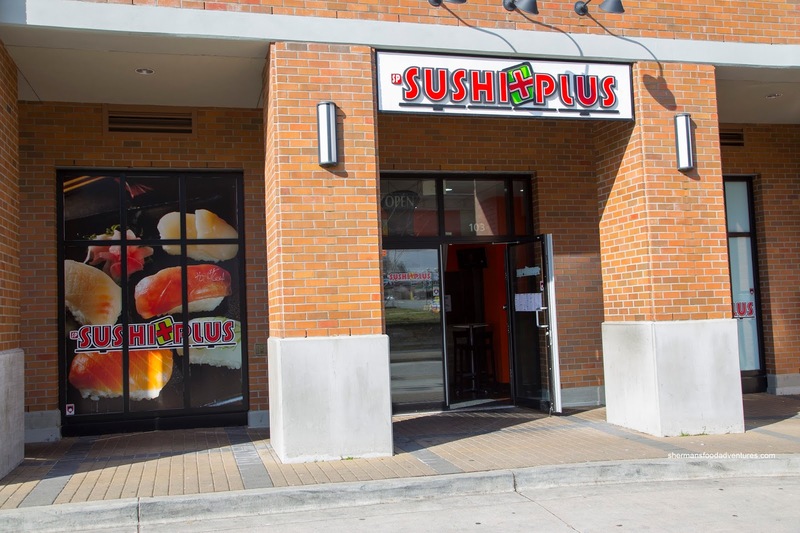 As you can see, the food ain't anything special at Sushi Plus, but for the price, it does the job.